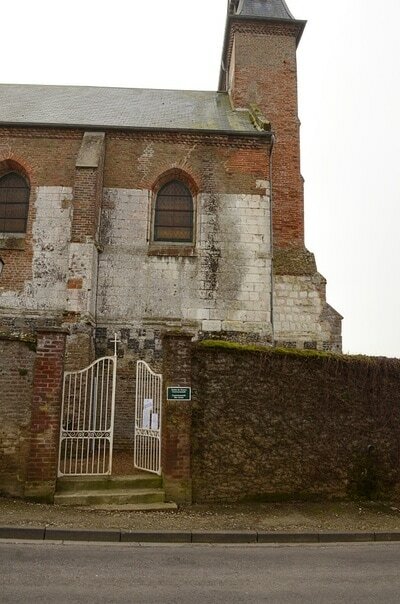 Nesle-Normandeuse is a village 41 kilometres east of Dieppe and 3 kilometres south-east of Blangy-sur-Bresle, which is the junction of the N.28 (Rouen-Abbeville) and the N.15 bis (Le Treport-Aumale-Paris) roads. The communal cemetery is some 200 yards north-west of the church, up a narrow lane. 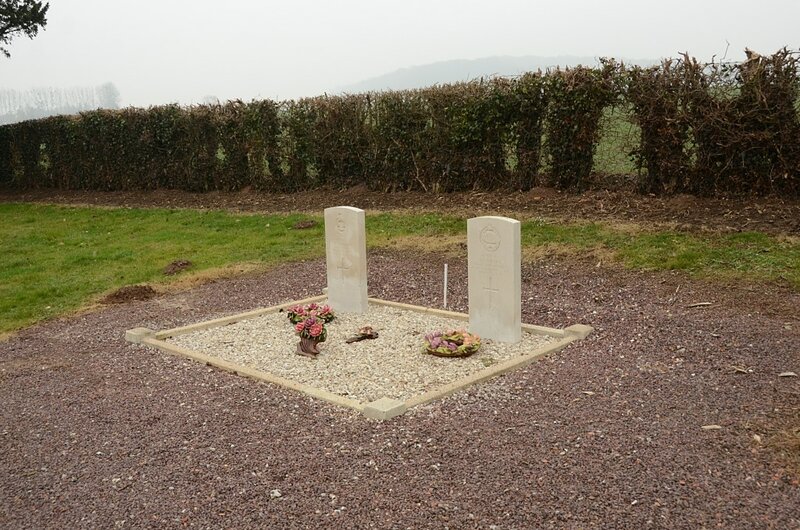 The two British graves are near the western boundary. 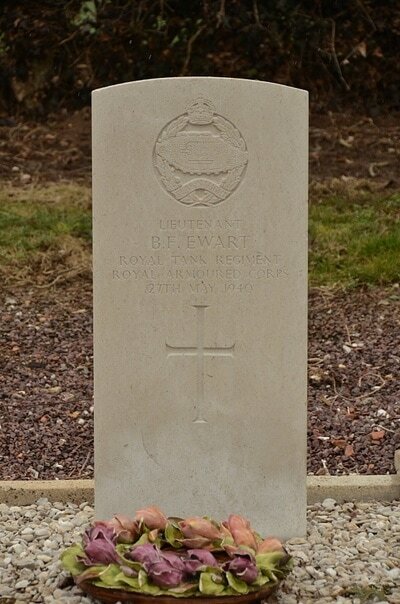 67209 Lieutenant Bruce Ewart, 2nd Royal Tank Regiment, R.A.C., died 27th May 1940. 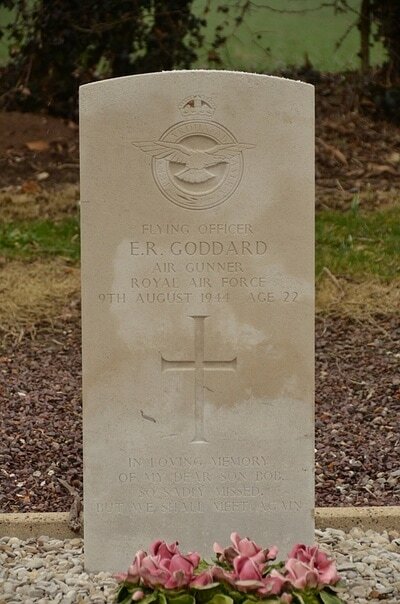 147702 Flying Officer Ernest Robert Goddard, Air Gunner in 180 Squadron, Royal Air Force Volunteer Reserve, died 9th august 1944, aged 22. Son of George Samual Goddard, and of Louisa Emily Goddard, of Laindon, Essex.